Where did olive oil soap first come to be? It is said that ancient Greeks and Egyptians used olive oil not just in culinary applications, but also as a beauty product. They used it to obtain shinier and softer hair, as well as fight premature signs of aging. Olive oil is rich in vitamins A and E and other antioxidants, making it a great cleanser and moisturizer. Natural olive oil soaps replenish the naturally occurring oils in the skin, helping protect it and restore balance. It is free from artificial fragrances and harmful chemicals, commonly found in today’s commercial soap bars. Check out this YouTube video from TourVisionWA that features a tour in one of the Olive Oil Soap factories in Australia. Olive oil is a common ingredient in many soaps today, mainly because of its inherent nourishing and moisturizing properties. On its own, it can treat hair and relieve skin dryness. In soap form, it’s considered the best treatment for dry and flaky skin. It nourishes skin without stripping it off of its natural skin functions. It can also be used as a body wash for people with sensitive skin. It has a lower pH than commercial soaps because it has zero petroleum oil, animal fats, and foaming agents – all of which cause skin irritation and dryness. When you think of olive oil, the first thing that comes to mind is probably Mediterranean cuisine, and that’s accurate. However, it also serves well as a skincare item. In fact, it is a common item found in beauty and skin care stores around the world. It’s not surprising why – the way it nourishes skin naturally is a rare accomplishment. Read on below to see more benefits of using olive oil soap. Skincare and the beauty product industry is a huge business today. Many people – not just women – are often in the search for the next best thing. And the trend is, the more natural, the safer, the better. That’s why olive oil is so popular and beloved. It’s not just dressing for salad or oil for frying. It’s a great ingredient for beauty care items, like soaps, creams, lotions, shampoo, and other bath products. Let’s take a look at the many benefits of olive oil soap. Here, we highlight five of the top benefits of using natural olive oil soap regularly. As mentioned, olive oil comes from the olive tree. It is as natural as it comes. It contains innate anti-aging properties that improve skin tone and texture, instead of adding to the aging process. This is a problem for most commercial skin care items today because they contain artificial oils, animal fats, and other harmful chemicals. Olive oil gives a smooth complexion and healthy skin without harming the skin’s natural structure. As a natural ingredient, it does not come with harmful properties. It is safe for all skin types, even the most sensitive ones. You can use it for the entire family – even on babies! It’s not harsh, it is super hypoallergenic, and you can use it often without a worry in your mind. Olive oil is naturally rich in antioxidants. These lead to a healthier, radiant skin because they reverse oxidation. They also fight off any free radicals (which are damaging to the skin) – which means you inhibit breakouts, skin irritations, and other health problems before they even occur. Aside from antioxidants, olive oil has a lot of vitamin A and E. These help you feel and look healthy. They improve the skin’s appearance. They also boost your immunity! Olive oil is rich in beta carotene as well, which supports new cell formation so that the damaged ones are replaced – and your skin remains youthful. Olive oil’s healing properties can be a remedy for skin complications. Because it penetrates the skin and is able to moisturize dry patches, it is a good cure for complexion problems, eczema, and other issues. If the reasons above aren’t enough, then you should know that more and more women – and men – are making the switch to natural olive oil soap. The benefits are more than you can count. Do you want healthy, beautiful, youthful, and radiant skin? Give it a try and see the wonderful effects for yourself. Trying out olive oil soaps? Here we collated some of the best brands for you! This soap is from Papoutsanis, a Greek soap brand. It uses genuine Greek soap-making traditions that have been in place for the last 2 centuries. Wash your skin and get gentle and soothing results! 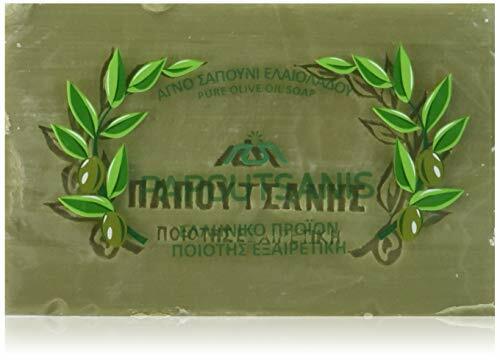 Learn more about Greek soaps here. Olivella, as the name suggests, is a top soap brand that makes use of natural olive oil. 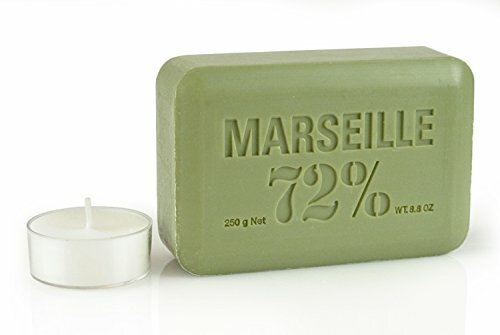 This particular soap bar has 100% virgin olive oil. The natural properties of the ingredient are preserved to create an effective skin protective barrier. 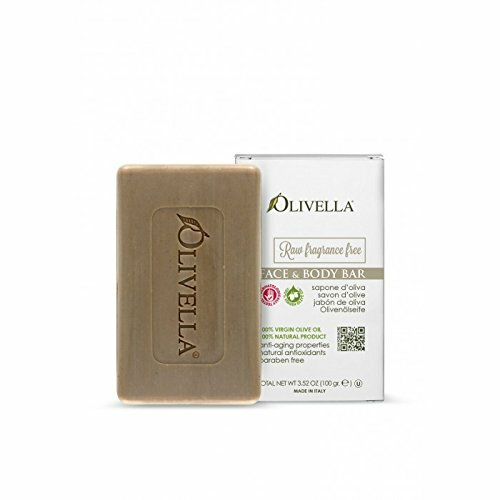 Learn more about Olivella and other top Italian soap makers here. Pré de Provence is a top French soap maker, making products only from natural ingredients – this time, using pure olive oil. They follow artisanal traditions from generations ago. Find out how Pré de Provence came to be, along with other soap makers in France from this post. Aleppo soap is not just about the hype. It is one of the purest soaps in the world. It’s made using only natural ingredients: olive oil, laurel bay oil, water, and lye. 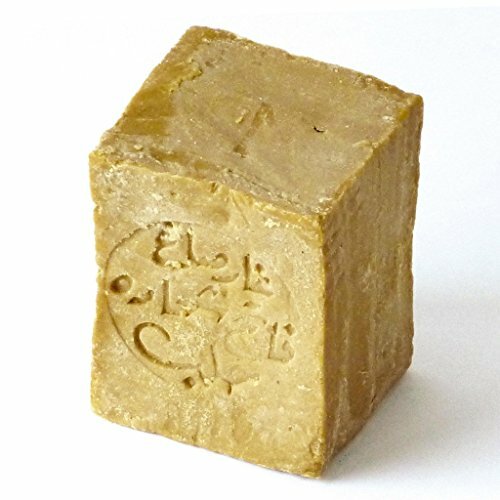 Learn more about Aleppo soap: its history, the controversy, and how you can help Syrian refugees by purchasing a soap bar from our previous post.